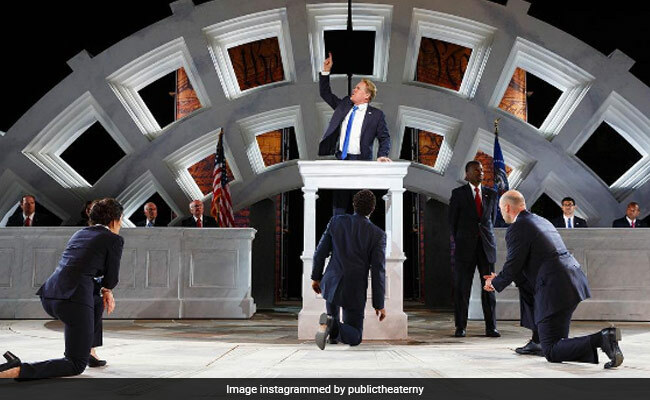 The play appears to depict the US president "being brutally stabbed to death by women and minorities"
New York: A New York production of Shakespeare's "Julius Caesar" drawing parallels between the assassinated Roman ruler and US President Donald Trump was in the eye of a growing storm on Monday, abandoned by corporate sponsors and sparking debate about freedom of expression. The play, which first opened in Central Park on May 23 and runs to June 18, has attracted right-wing outrage for similarities between the way Caesar is depicted and the Republican commander-in-chief, who is hugely unpopular in New York. Delta Air Lines and Bank of America pulled the sponsorship on Sunday in the face of mounting criticism that included the president's eldest son, Donald Trump Jr, about the summer performance in Central Park. Fox News reported Sunday that the play appears to depict the US president "being brutally stabbed to death by women and minorities," saying that the title character looks "very similar to the tall, blond businessman" commander-in-chief. 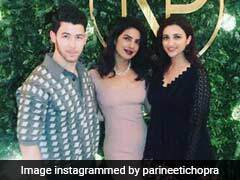 The character's wife was given a Slavic accent, in an apparent nod to Slovenian-born First Lady Melania Trump, and has been photographed dressed in Trump's trademark dark suit, white shirt and red tie. "Its depiction of a petulant, blondish Caesar in a blue suit, complete with gold bathtub and a pouty Slavic wife, takes onstage Trump-trolling to a startling new level," The New York Times opined last week. Delta said the "artistic and creative direction crossed the line on the standards of good taste," and it was ending its sponsorship "effective immediately." "No matter what your political stance may be, the graphic staging of Julius Caesar at this summer's Free Shakespeare in the Park does not reflect Delta Air Lines' values," the airline said in a statement. Bank of America, which said it had an 11-year partnership with The Public Theater and Shakespeare in the Park, quickly followed suit. "The Public Theater chose to present Julius Caesar in a way that was intended to provoke and offend," a spokesperson said. American Express, which sponsors the theater, also said its money did not go toward the production, "nor do we condone the interpretations of the recent Julius Caesar play." But the theater, which is staging the open-air production at what has become an annual summer tradition in the US cultural capital, stood by the production and said it "in no way advocates violence toward anyone." "Shakespeare's play, and our production, make the opposite point: those who attempt to defend democracy by undemocratic means pay a terrible price and destroy the very thing they are fighting to save," it said. Recognizing that the interpretation had provoked "heated discussion," it said: "Such discussion is exactly the goal of our civically-engaged theater; this discourse is the basis of a healthy democracy." The theater said it was "proud" to be telling Shakespeare's play -- which was first staged nearly 420 years ago -- in Central Park again. In notes for the play, The Public Theater's website described the Roman ruler as "a force unlike any the city has seen. Magnetic, populist, irreverent, he seems bent on absolute power. "A small band of patriots, devoted to the country's democratic traditions, must decide how to oppose him. Shakespeare's political masterpiece has never felt more contemporary," it added. New York's elected city comptroller, Democratic Party member Scott Stringer, also waded into the debate, writing to Delta and Bank of America to criticize their decision as "shortsighted" and to send them both a copy of the play. "Your decision to effectively restrict the expression of what is ultimately a timeless piece of literature... sends the wrong message. It undermines the very vibrancy of the cause you chose to support in the first place," he wrote. "Like many New Yorkers and Americans, I do not believe pulling your sponsorship is the right thing to do," he said, calling the script "a classic, in any age."